Welcome to the very first challenge at Tag You're It! 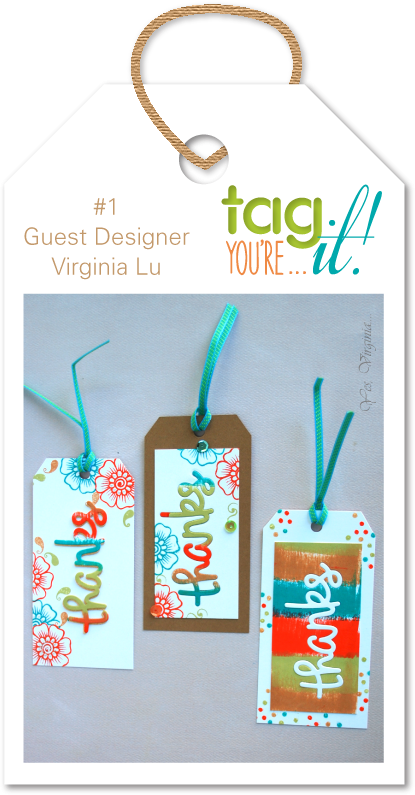 We are so happy to have Virginia Lu join us as our first Guest Designer! 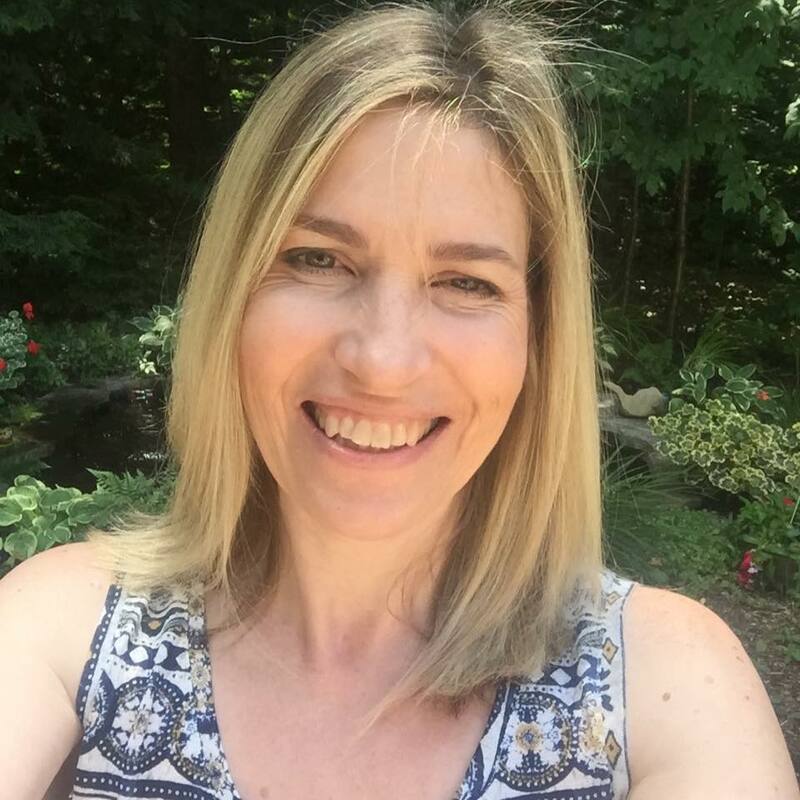 Virginia has been such a source of inspiration in blogland for a long time and now hosts her own challenge blog Virginia's View where she encourages us to try try something new and artistic. Here is what Virginia has created for our first challenge inspiration. Head over to to Tag You're It so that you can seen how the rest of the Design Team has been inspired by Virginia and to inspire you to create and link up your own tags! I pulled the colours and shape from Virginia's tags and also used a die cut sentiment. To create my mat gold thanks I applied VersaMark to a rectangle of white cardstock, then heat embossed it with mat gold embossing powder. Then once it cooled I die cut thanks from it. I then die cut thanks with white four more times to create dimension. HINT: To make it easier to line up delicate die cuts for this technique I use the negative die cut to line each layer up perfectly. Hope you come and play with us at Tag You're It! Love, love, love this tag. The colors are fabulous and the layered sentiment is perfect. LOVE this, Tracey! The gold thanks is perfect! Love ur CAS take, the stamp set looks cool with bold die cut thanks ! Tracey, congrats to you as DT on Tag You're It. Such a super cute tag. What is the stamp? I love this, Tracey! Fabulous take on Virginia's tag! Beautiful tag Tracey, I LOVE the golden sentiment! What a fantastic tag. Love the stamp you chose from that new flower set, and your gold sentiment die cut is awesome. LOVE your take - your tag is soo BEAUTIFUL! Oh how cute!! Wow, am I happy to hear how you gold embossed the cardstock first, before die cutting, Tracey... I can't tell you how many times I've adhered my tweezers to letters while heating the embossing powders!! The gold embossing is awesome Tracey! Love your tag! What a sweet tag Tracey. Love the pretty colors in the background. 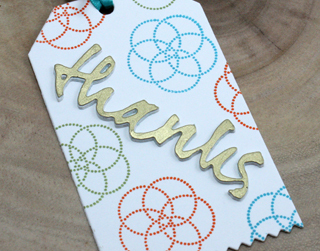 Love the gold embossed “thanks” ! Beautiful tag Tracey! I am so happy to be on a DT with you! LOVE your take on Virginia's tag. The beautiful colors and the perfect design for that beautiful gold thanks. so pretty, Tracey! hoping to play along with this fun challenge! Fabulous tag Tracey and I love, love that thanks all decked out in gold, just gorgeous! 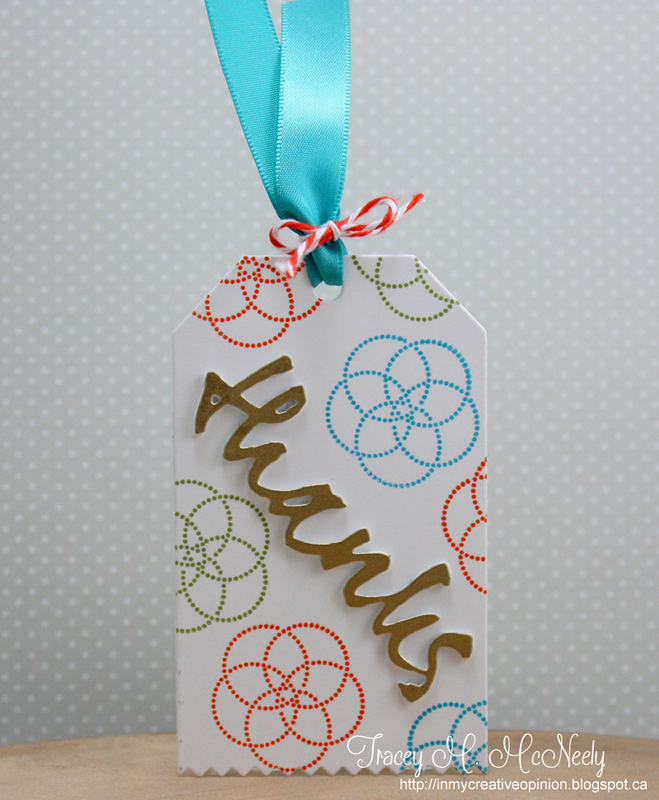 Gold embossing and stacking your 'Thanks' die to create dimension is so very creative, Tracey! Love the colorful background stamp images too! This is FAB Tracey! I love that graphical stamp. The gold thanks is perfect. Awesome tag Tracey! I thought you cut the word thanks out of metal at first. Love it! What a fun tag, Tracey! Love the gold die cut! Love how you picked the colors from Virginia's tags, and your CAS design! What a pretty stamped design Tracey! love the gold Thanks! You must be one of the busiest ladies in the crafty world Tracey! Big congrats - beautiful tag! Always happy to see what you're up to - what a fab team you landed - best wishes, and big hugs!! Great stamp from the flower set--love the graphic look! And the dimension of your gold 'thanks' is fabulous! Sharp looking tag, Tracey! Love the gold embossed Thanks. What a fun challenge! Love your tag...which is no surprise since I've loved your tag event the last couple years on your blog. I totally missed this challenge, as things were hectic, but I saw - and swooned - over your tag! Love it oodles! !